It’s something we take for granted isn’t it? That each of us has a country – a place to put our feet – on a planet where 71% of the surface is covered by ocean. Like having air to breathe, we assume that having somewhere to stand, to walk – is a basic right of existence. Our bodies aren’t exactly ocean-friendly – not for anything longer than a shortish swim in any event. And without a place on this planet to safely put your feet so that you can find shelter, get food, water and continue to breathe air – you die. It’s as simple as that. That truth was brought home this week by the image of that little drowned boy’s sneakers as he was carried off the beach by a policeman. And he’s not the only one at risk. More than half of all refugees are children. Right now, the humanitarian crisis – the number of people with no permanent safe place to put their feet – is larger than any other time since world war II. And not just in Europe. There are more refugees in Asia Pacific than in any other region. There are many different reasons that people end up with nowhere to call home – but pretty much all of them involve violence, war, destruction and/or terror. And the vast majority of those that are impacted are women and children. Thanks to climate change, and the melting of HUGE masses of ice around the world, the oceans will soon be taking a greater share of the earth than the 71% that they already claim. According to the Intergovernmental Panel on Climate Change, even the best case scenario has us losing 26,000 square kilometers of coastal and low-lying land within the next 100 years. Whole island nations – like Kiribati, the Maldives, the Seychelles and the Solomon Islands will simply disappear. Countries like the Netherlands and Bangladesh are at risk of losing up to 80% of their habitable land if they can’t control the impact of floods with levees. And then there are a number of key cities around the globe that – without some serious levees – will also be heavily impacted. Cities like New York, Boston, Miami, San Francisco and even London. Australia doesn’t escape the change in sea levels either – with so many coastal cities, some of our major population centres will be seriously impacted. This reduction in the amount of land we have to live on will lead to….. If you think the number of refugees is bad now, Climate Central have estimated that by the end of this century, the best case scenario sees 147 million people displaced, and up to just under 650 million. Further, eight out of the ten most significantly impacted countries are our neighbours in Asia. For an interactive map showing how many people will be impacted in various locations around the globe, based on different sea-rise levels, see here. 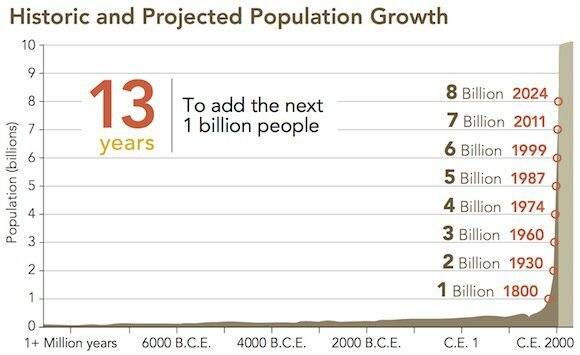 The stark reality in our planet’s future is that there will be less land, a lot more people and an increasing number of displaced feet that need to find a country they can live in. There’s already a crisis – but it’s only going to get worse. they risk death – either by staying in an unsafe place or by drowning. That’s it. Those are the only options. One means life, the other death. So Australia, we need to decide – what kind of a nation are we? Are we truly the generous, kind people that help out a mate, that believe in letting others have a fair go? Are we the nation that Malcolm Fraser thought we were when he set up the program which took 90,000 Vietnamese refugees in the 70s and 80s? Or are we a ‘brutal’ ‘inhumane’ nation, as described by the New York Times editorial this week. We, as a nation, either need to come to terms with the fact that we are part of a global community, and that just as we would hope that if we were displaced, that another country would take us in – that we need to do our fair share to help out others who have been displaced. Because if we don’t, we’d better baton down the hatches, because it won’t be too long before we truly become international pariahs. Don’t we already do our fair share? Nope. Nope. Nope. We don’t. Here’s why this is such a gross and insulting misrepresentation of the truth…..
As I mentioned above, getting exact numbers of displaced people can be difficult. They often flee their homes without papers and don’t have to register with any single agency or government. Further, while they can claim for refugee status through the UN, many also apply directly to a country like Australia, Canada, Germany or the US and don’t go anywhere near the UN. Even within the UN there are different agencies – meaning that you can see different numbers of refugees on different UN sites for the same period. That said, we can be fairly certain that the numbers we do have are minimums and not overestimates. Many refugees are just waiting and hoping to return home – they aren’t looking to be resettled, they just need a place to live until they can hopefully return to their home country. Most are based in huge refugee camps, often in a neighbouring countries, the vast majority of which are in developing nations. Turkey, Pakistan, Lebanon and Iran between them host a third of the world’s unsettled refugee population – or 5.2 million people – mostly in large refugee camps. By contrast, we have just over 3,000 asylum seekers in Australian detention facilities – and the government recently cut funding to the UNHCR. 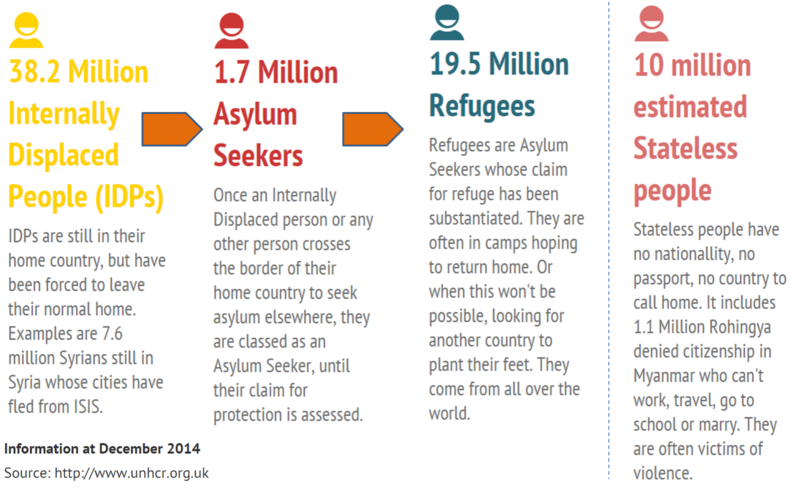 Only 105,197 refugees (3.1%) were resettled by the UN – and we took 11,750 (or around 11%) of this subgroup, and per head of population, we were the country who took the largest number of this group. only 46th relative to our national GDP. In a move worthy of the ‘Magic with Numbers Snoutie’ award winner Joe Hockey, both Abbott and PDuddy has taken the tiniest subset of resettled and recognised refugees – the 105,797 refugees resettled by the UN – and claimed that because we took 11% of the tiniest subset of refugees, that somehow we are the most generous nation in the world. That is not only a gross misrepresentation of the truth, it is insulting to the many countries around the world who are actually bearing the brunt of this humanitarian crisis. What would it mean to start pulling our weight in the region? If we had a government who dealt in truth instead of truthiness, a government who understood that actions speak louder than words, a government who recognised that Australians really do want to be good global citizens – then perhaps we could be a leading nation in Asia Pacific to come up with a regional solution. A solution that shared the burden of this humanitarian crisis fairly across the region and looked at providing refugees with a way to seek asylum that doesn’t involve risking their lives in boats. If we had a government who focused more on solutions that achieved real outcomes instead of political ones, then we could take the ridiculous sums of money we keep spending on keeping refugees out of Australia into actually solving the problem. As was reported recently, we spent over a billion dollars in the 12 months to June 2015, keeping just over 3,000 asylum seekers in limbo in mini-Guantanamos on Manus Island and Nauru (not including the $55 million we spent sending 4 of them to Cambodia). This is FIVE times more than the UN spends on refugee camps in South East Asia looking after “over 200,000 refugees, half a million internally displaced people and nearly 1.4 million stateless persons“. Imagine what we could do if we took the money we spend on not helping refugees, and worked with the UN on a solution that actually helped refugees, perhaps one similar to what Julian Burnside has suggested. What if we don’t start pulling our weight? Much of the rest of the world is looking at how they can come up with plans to help these people with no place to safely put their feet. The EU is looking at coming up with a regional plan. In Germany, they have set up a website for people to offer asylum seekers their spare bedrooms. Sweden has offered to take as many Syrian refugees as it can. But all our Prime Minister can do is to keep on repeating his tired old “we’ve stopped the boats” phrase and continue to blame the problem on people smugglers – continuing to claim that turning back boats saves lives – which it quite clearly doesn’t. The truth is that Abbott’s ridiculous ongoing rantings about people smugglers being the cause of deaths at sea are so short-sighted and inaccurate, it’s a wonder he’s not been declared legally blind. If we don’t start pulling our weight on this front and on other fronts like climate change – if we continue to shirk our duties as a global citizen, then at some point in the future we will lose more than our reputation. At some point, the international community will impose sanctions on us, and then all those precious trade agreements will mean nothing. The world is becoming smaller and smaller – and if we want to continue to be seen as a leader in the world, then we need to act like it. The world has a problem. And as a part of the global community, we can either help to solve that problem, or continue to make it worse. It’s time to Aussie-up Australia and do the right thing. It’s time to take our fair share of displaced persons, and give them somewhere safe (and a little bit sandy in places) to put their feet. Kate, as the bastards don’t let us know ANYTHING, we actually have no idea whether or not all the boats are being stopped … I mean, how would we know if 50 people turned up on Manus, having slipped through but then been grabbed …? Indeed. Although I think what concerns me more is that when they do tell us stuff that we can independently verify – it very rarely turns out to be the whole truth. At best it’s mostly true – but normally it’s some twisted and distorted version of the truth cooked up by spin doctors. This means you literally cannot trust a single thing that they say. I do too. Also Andrew Wilkie.